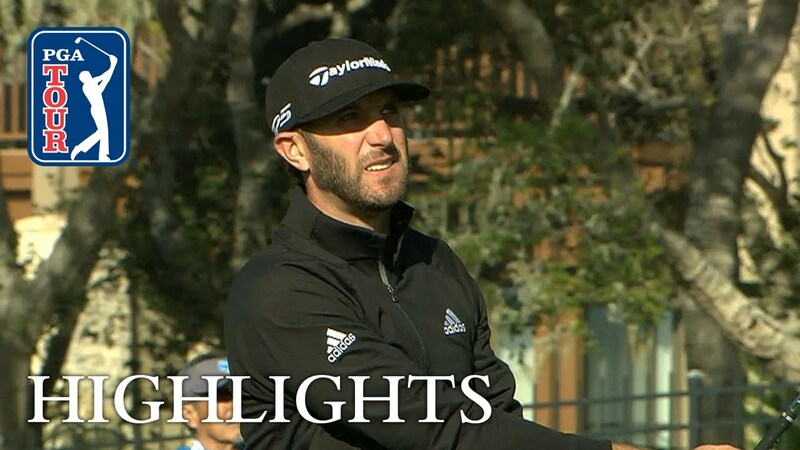 In the third of the 2018 AT&T Pebble Beach Pro-Am, Dustin Johnson gets off to a great start with a 32 on the front-nine but would struggle on the back-nine as the wind picked up in the afternoon. The AT&T Pebble Beach Pro-Am returns to the world famous Pebble Beach Golf Links on the Monterey Peninsula in California. In 2017, Jordan Spieth closed with a 2-under 70 for a four-shot victory over former U.S. Amateur champion Kelly Kraft..